Tom Hanks has been in Hollywood a long time. As such — and as one of the most versatile and wide-ranging screen actors around — he has played a lot of different parts. He's America's sweetheart, and he's been to the Oscars a bunch. So when you think about it, it's kind of interesting that the dude hasn't played a superhero yet, considering how obsessed this country is with that genre. 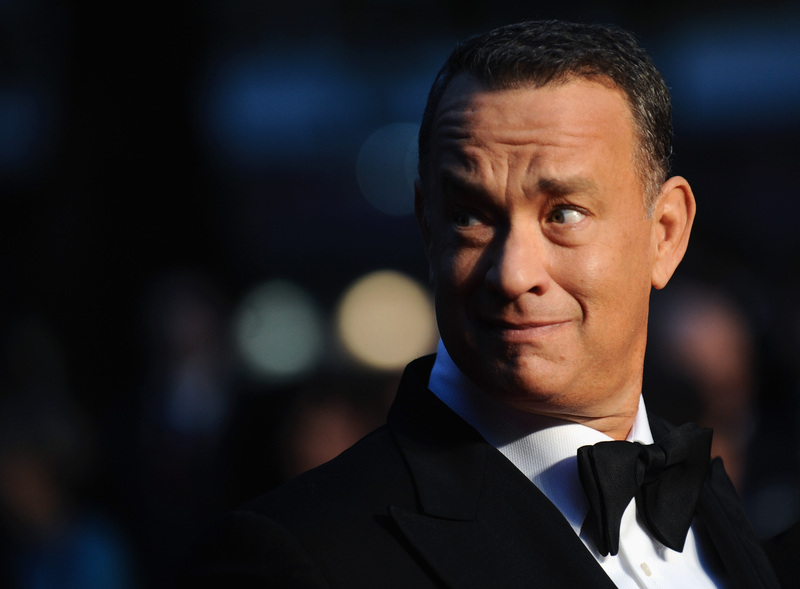 Turns out, Tom Hanks agrees it's weird he hasn't gone super — and says that he really wants to. They don’t ask me, man. I keep trying. Come on, I can do it. I can do it. Even let me play a bad guy, let me play the bad guy against Batman. I’ll do anything, call me. They’ve never asked. What do I gotta do? God, I want to throw a shield at somebody. I want that. And I don’t want to play the guy in the suit who tells the superheroes what’s going on, I don’t want to be that guy. ‘Well, you know Batman, Captain America, Iron Man, here’s what we’ve discovered,’ I don’t want to be that guy. I want to get in there, I want to play The Flash or something like that. They’ll never give me a chance. Here's our question for Hollywood: How do you never ask Tom Hanks to be in a superhero movie??!! We feel it's generally a good rule of thumb to ask Tom Hanks to be in everything. We would ask him to star in our vines if we had his phone number. Hanks may be 57 and therefore much older than most of the hunky young superdudes we see, but we're all for challenging the norms, especially when it comes to Tom Freaking Hanks. To compensate for the fact that we now feel incredibly robbed about never having seen Tom Hanks as a superhero, here are some that we'd love to see him play. Chris Evans already has the gig, but Hanks has the inner nobility that's essential to Cap. And, like we said above, he's already America's sweetheart, it wouldn't be a huge leap for him to be its Captain. This world is too obsessed with youth, but, still, we'd love to see an older Superman. Besides, Hanks could imbue the character with a nice sense of humor, a power that the superhero has so far severly lacked. Captain Planet's wry, and he likes puns. We'd like to see Hanks playing with some puns. The one Hanks specifically mentioned in his quote. We'd dig it. If we're going the villain direction. Hollywood needs a do-over on this one, anyway. He's pulpy and noir, which we feel Hanks could pull off without a hitch. Among his aliases is "The Hero Who Could Be You." What better for the ultimate everyman? If you've got further ideas of who Hanks would be awesome as, tweet us @Bustle and @AlannaBennett.